MPs have told the UK and Scottish governments to stop bickering over broadband provision and get on with delivering investment. A new report by the Scottish affairs committee highlighted recent “disharmony” on the issue between the two administrations at Holyrood and Westminster. The row, which has led to repeated clashes over which government was doing more to boost the roll-out high speed internet coverage, stemmed from a UK Government allocation of an additional £20.99 million to Digital Scotland in 2014. UK ministers claimed that the Scottish Government “sat” on the cash, and so they decided in future to bypass Holyrood and work directly with local authorities. But the Scottish Government insisted it had simply pursued a different approach to England, involving a larger-scale roll-out, and that the £20.99 million was allocated in the middle of that process. SNP ministers said that they will use the £20.99 million as part of the total £600 million of funding for the to deliver broadband to the final 5% of Scottish households. In the report, the committee concluded: “Whilst there is clearly discord over the different approaches adopted by both governments, they are united in wanting to provide broadband coverage to the whole of Scotland. “We welcome the acknowledgement from both ministers that the relationship needs to improve and their commitment to building on the collaboration that continues to take place between officials. Labour committee member Ged Killen said: “It was clear from the public committee sessions and in the report that both the UK and Scottish governments have sought to gain political capital out of disagreements on delivery, rather than focusing on the best interests of Scottish the people and businesses. 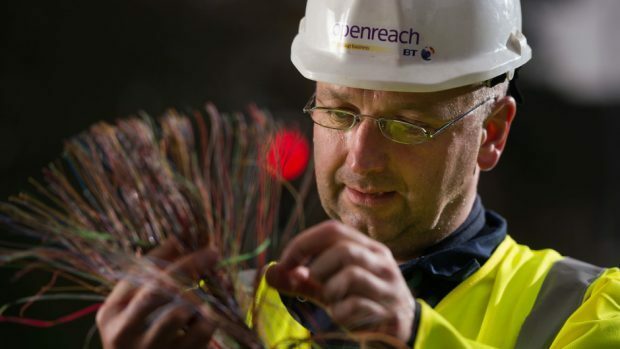 The SNP’s Pete Wishart, chairman of the committee, said: “Scotland’s challenging geography and remote communities make it one of the most difficult places to deliver broadband and mobile coverage in Europe, and while good progress has been made there is still more to do.